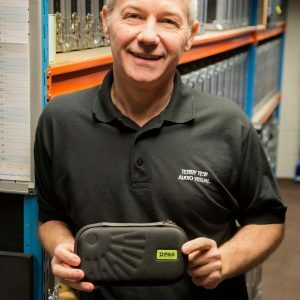 The improved clarity and dynamic range delivered by DPA’s new CORE amplifier technology has inspired Terry Tew to switch its entire stock of DPA Headset Microphones to CORE versions. Terry Tew Light & Sound Hire, the UK’s largest supplier of RF audio equipment to the broadcast market, has embraced DPA’s new CORE amplifier technology by switching all of its DPA headsets over to CORE d:fine™ 4066 capsules. We’ve always been very happy with the sound DPA headset microphones deliver but the new CORE technology takes them to a new level of audio quality,” says company founder Terry Tew. “The dynamic range is significantly improved and there is less general distortion at all levels. The microphones may not look any different, but they certainly sound much clearer and more open across the entire audio spectrum. “The difference is so marked that I don’t think it will be long before DPA’s CORE technology becomes the standard against which all other headsets are measured. This is a key reason why we have doubled our investment in these products,” Terry adds. Will Caine, Dan Solomon and Jonathan Edwards preparing the DPA CORE Headsets. DPA’s new CORE technology has been incorporated into the company’s omnidirectional d:screet™ Miniature lavalier and d:fine Headset microphones as of February 2018. Clear, natural sound has long been a hallmark of DPA’s products, but with CORE amplifier technology on board the dynamic range of these capsules has been increased by up to 14 dB at 1% THD. This means that sound across all levels is improved – from a whisper to a scream. Another significant benefit of CORE technology is improved durability. Thanks to a new nano coating and the hermetic sealing of sensitive electronics, these products are now much more resilient to water and moisture. While CORE capsules are not originally intended as a replacement for DPA’s much loved d:screet lavalier and d:fine microphones, industry reaction to them has been phenomenal – and with several key players adopting the new technology it now seems certain that CORE by DPA will become the industry standard in miniature microphones. The introduction of this new amplifier technology has raised the bar again for any type of production, whether that be live sound, theatre, film recording, broadcast or corporate. For information on CORE by DPA microphones, to arrange a demo or find out about ETA’s etc, please contact us on [email protected].